Meet your dream business school. Whether you are just starting to explore your business school options or are ready to get your MBA underway, with Forté sponsors you're sure to find the school that's right for you. Explore these top-rated programs, read student profiles, and find events geared just for smart, ambitious women just like you. Alliance Manchester Business School was established in 1965 as one of the UK's first two business schools. Today, we are the UK's largest campus-based business and management school. With centres in Dubai, Hong Kong, São Paolo, Shanghai and Singapore, our reach is truly global. We are one of few institutions to have achieved triple accreditation from AACSB International, AMBA and EQUIS, and the Financial Times ranks our MBA in the top 40 in the world. The Manchester Full-time MBA is an eighteen month programme that will transform you, your career and your life. With six months of live client projects - more than any other MBA - the Manchester MBA is an experience of a lifetime. Our programme offers personalised careers support, an international study environment, six global centres, the flexibility to customise your MBA and more. It will change the way you do business, forever. We strive to recruit some of the best global female candidates onto our MBA programmes, and have consistently offered scholarships specifically for leading women in business that has resulted in us attracting exceptionally talented females onto our MBA. The Women Leading in Business has been a constant staple on the Manchester MBA, and due to our reputation KPMG are currently sponsoring the club. The W. P. Carey School of Business offers a unique business school culture designed around innovation and change. The School's programs are designed for leaders who rethink the nature of business, engage the world, and create a better future. From world-renowned faculty representing six continents to thousands of outstanding students who join us every year from around the world, the W. P. Carey School welcomes diversity and encourages global thinking. Within America's largest public university, the W. P. Carey School is committed to building a tight-knit community. Through small classes, team-based learning, and individualized attention every step of the way, your W. P. Carey experience is uniquely your own. We take your success personally and offer more ways to get a top-ranked graduate business degree -- MBA and specialized master's degree programs along with highly customized career services aligning your strengths with your career goals. W. P. Carey MBA students share unique perspectives and bring a combination of cultures, ideas, backgrounds, and professional experiences into the classroom. With 90,000+ W. P. Carey alumni worldwide, you'll have access to a robust and powerful network of professionals. Additionally, women comprise the majority of senior leadership positions at W. P. Carey, serving as role models and mentors for our students. Learn more about accelerating your career goals with an MBA or master's degree from the highly ranked W. P. Carey School of Business. Women today are reinventing the workplace and themselves. At Babson you can learn to do both. The current Babson graduate student population reflects 34% women. Learn more about the Graduate Women at Babson. The Tepper School of Business at Carnegie Mellon University, located in Pittsburgh, Pennsylvania, consistently ranks among the top business schools in the world. Tepper MBAs possess an unrivaled advantage honed through our renowned approach to leadership development alongside advanced analytics. It's an approach that prepares our graduates to make better business decisions and maximizes leadership skills for successful implementation of those decisions across the organization. At the Tepper School of Business at Carnegie Mellon, our commitment to enhancing opportunities for women graduates is reflected in a culture that emphasizes transformation, teamwork and innovation. We believe in the potential of each student, and we partner with you to develop both the hard skills strategic, analytical decision making and the soft skills confidence and poise that are necessary for leadership in today's global marketplace. We also believe in options, which is why we offer one MBA in three different formats: full-time, part-time on-campus and part-time online hybrid. Our alumni community, which spans 33 chapters in 19 US cities and over 14 countries, is a tight-knit family that opens doors for one another into a variety of job functions and industries. An MBA serves as an ideal platform for pursuing career paths that make a difference. From entrepreneurial start-ups to global enterprises, our students work in positions that directly impact both social and management issues. Attracting and advancing women is a priority at the Tepper School of Business. In addition to offering Forté Fellowships, we participate in a portfolio of initiatives including Forté Forums, MBALaunch and Forte conferences. We also have Forte Ambassadors to help our women students take full advantage of the Forte network. Each year, the Tepper School and the Tepper Women in Business club host a women's leadership conference to enhance the development of current and prospective students and elevate the conversation among businesswomen in the region. At the Tepper School, you won't just be a number; our intentionally small class size (approximately 220 in our full-time program) facilitates exceptional opportunities for leadership, networking and community engagement. To foster the close-knit community that is the hallmark of the Johnson education, every incoming class is, by design, small and selective. It's the only way we can deliver our truly unique, rich, and dynamic educational experience. Johnson leverages the extensive resources of one of the largest Ivy League universities to deliver a robust, thoughtfully designed curriculum that is tailored to your individual interests and needs. Johnson is Cornell University's graduate school of management. Cornell University was conceived by its founders in 1865 as a university where "any person" could find instruction in "any study." Johnson embodies this 141-year-old vision of inclusiveness in several ways, including the establishment of The Office of Diversity and Inclusion, staffed by dedicated professionals, which exists to execute the school's goals and visions for a more diverse business community nationwide. Johnson's programs in support of women in business include our partnerships with the Forté Foundation to reach more prospective women and encourage them to apply to business school; Woman2Woman recruiting events for admitted women; Camp $tart-Up entrepreneurial camp for high school girls; Women's Welcome Picnic for new and returning students; and our monthly Women's Power Lunch series for current students to network with each other, female faculty and prominent women executives. The Women's Management Council is a student club that sponsors efforts to increase the enrollment of women within Johnson. Members strive to promote and support women in business, provide a structure for connecting with present and future women leaders, and support the diverse professional and personal aspirations of women within Johnson. Johnson is proud of its commitment to supporting diverse populations. Today's lightning-fast business environment is more complex and unpredictable than ever before. To overcome increasingly multifaceted challenges, business leaders require skills and knowledge from a wide range of traditionally segregated fields. Columbia Business School's cutting-edge initiatives unite academic divisions and encourage the cross-pollination of ideas in order to better train students to recognize and capture opportunity in a world where disciplines intersect and industries change rapidly. Through an outreach strategy that is continually expanded and refined, Columbia Business School has created a culture where women's voices are heard in numbers in the classroom and women hold leadership positions in student organizations and programs throughout the School. Since the early 1990's, Columbia Business School has routinely enrolled one of the highest percentages of female students amongst top business schools. Faculty, administrators, alumnae and current students work together to build a critical mass of female student leaders as well as a base of alumnae who will remain active and mentor new generations of women students. Columbia Women in Business (CWIB) participates in admissions events for women, one-on-one mentoring for women applicants and, with an active membership of over 350, extended career and networking programming for current students. The annual CWIB “Women in Business” conference has become a signature event for Columbia Business School and the New York business community. The Conference enables alumnae, business leaders, students and prospective students to network and share ideas on achieving success in the marketplace. Each year, the conference attracts more than 700 women. In 2005, CWIB announced the establishment of a new scholarship - the Columbia Women in Business Scholarship. The purpose of the CWIB Scholarship is to provide financial support to a talented female student who embodies the spirit of community and strong leadership that the CWIB organization upholds. Tuck has long provided its graduates with the knowledge and inspiration to do well and do good—to become the difference in the world of business and beyond. As the global economy continues to become more dynamic and diverse, the call for broad, values-driven leadership will continue to grow louder. What will not change, however, are the beliefs that sustain it: in reaching beyond oneself in a supportive community, and in connecting talented students with leading scholars to enable learning of the highest quality. The Tuck School of Business at Dartmouth is deeply committed to attracting more women into our classrooms and into business leadership positions worldwide. At Tuck, you will test the limits of who you can be in an immersive and trust-based community that gives back as much as you put in. Discover new strengths. Fall down. Stand up stronger. Your classmates and the greater Tuck community will be with you every step of the way. We are proud to be a founding member of the Forté Foundation and are fully aligned with the organization's goals of empowering women in business. As part of this group, we sponsor and participate in a number of women-only recruiting events in major cities across the nation every year. We are very pleased to be funding 10 Forte Fellows in Tuck's class of 2018. We provide opportunities for women through our Tuck Women in Business Club (WIB) and Initiative for Women, which offer several networking events and speakers every year and partners with the Dartmouth Women in Business Club on networking and coaching opportunities. WIB organizes mentoring programs between first and second year students, students and alumnae, and students and Dartmouth College undergraduate women. In addition, women at Tuck hold several leadership positions in student government and clubs. Tuck hosts a Women in Business Conference each fall. Organized by WIB, the conference brings together alumnae, current and prospective students, visiting executives, and members of the Tuck community. It provides career networking opportunities, professional development sessions, business school admissions advice, and access to Tuck's unmatched alumnae network. Connect with us to learn more and stay informed of admissions news and upcoming events in your area and online. Our goal is to make a positive impact on society by developing future leaders through our suite of undergraduate, MBA, and PhD degree programs, and our tailored non-degree courses; and by creating and disseminating impactful knowledge and insights. We provide access to opportunities for graduates and alumni in globally competitive jobs with leading institutions, and equip them with the skills to found and lead new business ventures. Our programs combine a broad business perspective with opportunities for significant functional depth that, together, provide the platform for our graduates to excel in today's increasingly complex environment. Goizueta is a top-ranked business school in one of the world's great global cities. The benefits of being located in a dynamic, global city. This unique combination creates exceptionally prepared students who graduate with the skills and opportunities to begin immediately making a difference in organizations around the world. Women are key contributors at Goizueta. We are committed to enrolling top-quality female applicants each year at Goizueta, to continue the trend of increased representation of women in the highest ranks of business leadership. The best way to gauge whether an MBA program will provide the leadership opportunities you are looking for is to research the school's track record of women in leadership positions. This year women hold leadership positions in approximately half of the student run clubs and organizations. Goizueta Women in Business provides professional and personal development opportunities for women at Goizueta by fostering relationships inside and outside the Emory community. GWIB serves as a source of information to its diverse membership and facilitates relationships among its members and the business community through speakers, conferences, networking forums and social events. GWIB commits to building a strong community among women in business, while fostering their success. The mission of the Executive Women of Goizueta (EWG) is to provide a forum for Goizueta women to be successful leaders in their careers, communities and lives. EWG provides the environment in which to share experiences, learn about recent business trends and motivate one another to be successful leaders at work, at home and in our communities. To support this mission, EWG holds and sponsors a variety of events including discussion forums, an annual conference, and breakfast meetings with industry business leaders. The Alumni Mentor Program matches students with alumni, based on their functional areas of interest and affinity preferences. This mentorship fosters an exchange of professional ideas, friendship, and expertise. As a result, students receive guidance and support from experienced professionals, and build long-lasting relationships. As a forum for women's intellectual, cultural, ethical, and spiritual lives, the Center for Women at Emory University is a place for female students, faculty and staff to gather and share their knowledge and experience. ESADE Business School, established in Barcelona in 1958 as a non-profit organisation, is internationally recognised for the excellent standard of its programmes in Management and is accredited by the world's three most respected management education organisations: AACSB, EQUIS, and the Association of MBAs. ESADE achieves consistently high positions in global rankings.It has been ranked #8 in the European Business Schools Ranking by Financial Times, which is based on the results of the programme-specific rankings published throughout the year. The ESADE Full Time MBA is considered the best MBA for women in Europe; ranked 1st in Europe and 11th Worldwide by Financial Times TOP 50 MBAs for women. At the George Washington University School of Business we set the bar above the bottom line. We value profits, but on top of them, we also value how they're made. That's why we're adding a new dimension to how we measure success: not just in profits and power, but also in responsibility and its integral role in shaping society. This added dimension gives us a competitive advantage. It helps us gain a better understanding of the true cost and value of our decisions, and the awareness to make them smarter moving forward. Adding this to every decision we make is helping us stand out. Because when we look past the balance sheets everyone else is focused on—when we look deeper into what's actually driving them—we give ourselves an edge in competitive markets across the globe. And that's our idea of good business. Founded in 1957, Georgetown University’s McDonough School of Business is a world renowned institution respected for its academic rigor, emphasis on global business, and immersive approach to practical learning. The Georgetown McDonough MBA curriculum is designed to prepare you to be a global business leader. Our program is the perfect launchpad for discovering your true strength. Whether you immerse yourself in the Full-time Program or choose to balance work and life with the Evening or Flex MBA Program (the new, innovative evolution of our highly-ranked Evening MBA launching in fall 2019), you'll have access to engaging faculty, gain hands-on consulting knowledge through the Global Business Experience, receive individualized support from the MBA Career Center, and build your network with over 190,000 alumni. You'll exceed the expectations you never thought were possible. In the two decades since its foundation, Georgetown University’s McDonough School of Business has risen to become a top-tier graduate business program. In the latest Financial Times MBA rankings, Georgetown McDonough’s Full-time MBA advanced to 16th in the United States and 30th in the world, and was listed globally as 3rd for international business. In addition, McDonough’s Full-time MBA was recognized as 1st in the United States and 6th in the world for the percentage salary increase alumni saw from before entering the program to three years after graduation. U.S. News & World Report ranked the Georgetown Evening MBA No. 11 in 2018. Women, which figure prominently in the class profiles for McDonough’s Full-time and Evening MBA programs, have played a vital role in the programs’ development and success. Our partnership with Forté Foundation is part of our larger ambition to enable talented women to excel in business and become leaders in their fields. Through participation in Forté and organizations such as the Consortium for Graduate Study in Management, and Management Leadership for Tomorrow, we seek to broaden our outreach and support to future women MBAs. Georgetown McDonough hosts a variety of MBA diversity events, including our signature Focus on Diversity event and Graduate Women in Business brunch, and is a part of the Perspectives in Women’s Leadership series along with partner top business schools. All women applicants are considered for merit-based scholarships, including the Forté Fellows program. As student leaders, our women make meaningful decisions that shape the future of the School as well as their classmates’ experiences. Students expand their skills and networks through participation in Georgetown Women in Business (GWiB), a robust chapter of the National Association of Women MBAs, which addresses issues specifically relevant to businesswomen. Through a variety of special events, students can hear directly from women business leaders about cutting-edge practices and trends. GWiB also recently launched the GWiB Male Ally program, an initiative of Forte Foundation, at McDonough. The Georgetown community creates a space for women to excel with an environment that supports mothers or expectant mothers and invites their families into the community with activities like the annual Sippy Cup. We encourage you to experience the Georgetown MBA program personally. Join us on campus for Experience Georgetown, a half-day visit in which you will attend a class, participate in a student-led information session and building tour, and enjoy a coffee break with current students. When planning your visit to campus, consider scheduling a one-on-one, half-hour conversation with an MBA Student Ambassador. For those unable to visit campus, we offer a limited number of MBA Student Ambassador appointments via Skype. At Georgia Tech Scheller College of Business, we develop principled leaders who are both analytically- and entrepreneurially-minded. With a deep understanding of how technology and globalization are affecting business, our MBAs are prepared to compete at the highest levels today and in the future. Strategically positioned at the intersection of business and technology, Scheller College makes the most of our physical location in Midtown Atlanta and the MBA program's tightknit, inclusive community. Diversity, equity, and inclusion are fundamental values within our community. With Dean Maryam Alavi at the helm of Scheller College, we strive to increase the representation, participation, and inclusion of women as leaders in the business landscape. Scheller College is proud to have doubled female representation within our Full-time MBA program in recent years, boasting 40% women in the Class of 2020. Scheller College offers Full-time, Evening, and Executive MBA programs, all with curriculums intentionally focused on experiential learning. At Scheller College, we embrace the future and provide the tools for women to advance careers in leading-edge fields like business analytics, innovation and technology, sustainability, and market globalization. Geographically, Scheller College is located in Atlanta's highly acclaimed Technology Square district, providing opportunities to engage in an exciting, innovative ecosystem. MBA students are next door to over 100 startups, more than 50 accelerators and incubators, and over 20 corporate innovation centers, in a city that is home to 17 Fortune 500 headquarters. Diverse and vibrant, the city of Atlanta connects a sense of history and hospitality with forward-thinking, fast-paced entrepreneurialism. Another standout feature of Scheller College is the Jones MBA Career Center. Recently named #1 in Full-time MBA career services in the world by the Financial Times, the Jones MBA Career Center offers MBAs one-on-one attention for career development. Advance women as leaders in business. Promote the understanding and facilitate the resolution of women's issues in the business world. Club objectives are accomplished through personal and professional development opportunities including networking and social events, a speaker series, and leadership and skill development workshops. MBA Women in Business also hosts events and networking opportunities for prospective MBA students at our annual MBA Open House and Welcome Day. Both are great ways to meet Scheller MBAs and experience our unique learning community. The Harvard Business School (HBS) has been a pre-eminent business school for women since 1938, when the first two female graduates completed the Harvard Radcliffe Program on Business Administration on the Radcliffe campus. Since then, 9,100 women have completed our MBA and Executive Education Programs, including 6,800 who have earned the MBA degree on the HBS campus since 1965. Through our membership in the Forté Foundation, we have taken an active leadership role in helping to increase women's access to business education, mentoring and networking opportunities. Women are a strong leadership presence on the HBS campus. Women represent 35% of the MBA Class of 2008 with almost 350 female students in total. One way that these women make a difference at HBS is through the Women's Student Association (WSA). The WSA's mission is to connect and support all women at HBS through mentoring programs, networking events, speaker series, the annual conference, and social events across sections and with other schools and organizations; to promote the diversity of women's achievements and contributions; to work with the HBS administration to make sure that issues that are relevant to women are being addressed; and to lay the foundations of a powerful network of female business leaders and connect current students to HBS alumnae. Each January, the WSA hosts The Dynamic Women in Business Conference which brings together over 1,000 women across many industries and functions to promote women in business. The WSA also sponsors two mentoring programs -- one among students, and one between students and alumnae -- and activities addressing academics, career development, and student life. Committed to diversity, the HEC MBA Program has long been proactive in attracting women to its ranks. Today, 30% of its approximately 230 Full Time participants are women. Add to this more than 50 nationalities that are represented on the program and you have at HEC MBA a truly diverse, multicultural and international environment. Over the few years, HEC has focused on women and networking through a series of initiatives including the invitation of renowned speakers in the field. Avivah Wittenberg-Cox, who is the Founder and President of the European Professional Women's Network, offered HEC MBA women elite access to its pan-European network. With the increasing number of women in our program, several initiatives have been undertaken by participants to reflect their diversity, including the activities of the HEC Women in Leadership club. The great emphasis placed on multicultural diversity and a spirit of tolerance for new ideas makes the HEC MBA a fine business school for tomorrow's business leaders, especially for women. Recognized as one of the world's top business schools, IE Business School has its main campus in Madrid. At IE, we have been working for the last 30 years to offer the best management education and corporate consulting services. The result is the "IE Experience." The experience of a school steeped in the spirit of entrepreneurship and innovation. A school that fosters applied research and promotes social responsibility initiatives. A school that leaves its own, differentiating mark. IE Admissions carries out a rigorous selection process to ensure only the most outstanding candidates make it from the large number of applications. IE seeks highly potential individuals who are dynamic, motivated, and creative, who not only excel in their academic and professional lives, but also offer the kind of interpersonal skills that will allow them to get the most out of the program. Diversity is rooted throughout the whole IE Experience. It starts from the recruitment process and continues beyond graduation. The initiatives portrayed below are just a brief sample of the multiple activities offered by all departments and programs at IE through which our students learn how to truly manage diversity on their path towards becoming global leaders. In the crowded world of customized program design and delivery, IMD stands out as a world leader and pioneer in corporate leadership development. Working together with top organizations worldwide and their CEOs, division CEOs or learning and talent executives, IMD brings insights, tools and mindsets that help the organization deal with its real issues and challenges to enhance learning and create positive business impact. As part of Imperial College London, one of the world's pre-eminent science-based universities, we fuse innovative business thinking with new technology to develop practical solutions to real-world issues for the benefit of business and society. The School is consistently ranked amongst Europe's best research-led business schools and our research expertise is sought by governments, policy-makers, regulatory bodies and business leaders worldwide. Imperial College Business School has a rich history of women in leadership. Whether it's through the teaching and research by our world-leading women faculty, the career pathways of our alumnae and students, or the direction set out by our senior leadership, we are passionate about inspiring women to advance their careers through business education. We aim to attract the world's best female students, and to provide them with the skills and network to support a successful career in business. We are passionate about providing opportunities to encourage women to undertake postgraduate education, and promoting gender parity in business. We have also been proactive in striving for gender parity within our own leadership, and over the last year, we have appointed five women to our advisory boards and were 1st in the UK for the number of female board members according to the Financial Times Global MBA Ranking. In September 2015, we also admitted a cohort of 45 per cent women on our Full-Time MBA programme, which benchmarks favourably against top US and UK schools this year. In line with our commitment to encourage women to undertake post-graduate business education and gender parity, the Business School funds a range of scholarships to top female candidates: alongside the Forté Fellowships, we offer the Dorothy Griffiths Full-Time MBA Scholarship for Excellence for candidates who demonstrate outstanding academic achievement and a drive for innovation, excellence and gender parity, Executive MBA scholarships in partnership with the 30% Club, who aim for a better representation of women on FTSE100 boards. There are also a number of professional development workshops on offer at Imperial to women in business that address issues such as overcoming the challenges facing female leaders today, creating a truly inclusive workplace culture with a focus on gender and tackling unconscious bias in business decision making. Another initiative aimed at female students at Imperial College is The Althea-Imperial Programme where participants attend a series of entrepreneurship workshops and are given the opportunity to pitch a business idea to win a prize worth £10,000. Women at Imperial College Business School are part of an ambitious community of professionals representing a wide range of professional and geographic backgrounds. Our alumni network spans 125 countries and our most recent Full-Time MBA class represented 34 different nationalities, from industries ranging from banking and finance, to energy, retail, consulting, technology, healthcare and law. Imperial also has its own Women in Business Society which aims to empower female Imperial students from all backgrounds by providing them with the skills necessary to be at the forefront of any business industry through a mentorship programme, Tedtalks, workshops, panel discussions and informal career guidance sessions. The Kelley School of Business at Indiana University provides talented women of all disciplines with the skills they need to lead corporations and business organizations worldwide. Our top-ranked faculty, innovative curriculum, and supportive learning environment prepare women for the challenges they face in the evolving workplace. To round out the Kelley experience, the program fosters a collaborative environment by bringing students together to work on teams inside and outside the classroom. Another important and exciting resource for our women is the Kelley Association of Women MBAs (KAWMBA). This group provides increased opportunities and visibility for members, supports the professional endeavors of Kelley women, and develops networking opportunities within the program and with professionals committed to the development of women's roles in business. KAWMBA sponsors events such as: Executive Speaker Series/Women in Business nights, the Faculty Auction Fundraiser and other philanthropic fundraising initiatives, community mentoring, and Girls' Night Out social events. Kelley is a proud member of the Forté Foundation, the Consortium for Graduate Study in Management, and Management Leadership for Tomorrow. We award significant merit-based aid to approximately two thirds of each year's incoming class. As one of the world's leading and largest graduate business schools, INSEAD brings together people, cultures and ideas to change lives and to transform organisations. A global perspective and cultural diversity are reflected in all aspects of our research and teaching. With campuses in Europe (France), Asia (Singapore), and Abu Dhabi>, INSEAD's business education and research spans three continents. At INSEAD, we believe that a successful world economy demands diversity in management thinking, and we are committed to increasing representation of women in leadership positions across the business community. We are effective in positioning women for successful careers by facilitating valuable networks across sectors, industries and continents, as well as providing over €190,000 in targeted financial assistance to support women at INSEAD. As one of the most innovative and influential of the world's best business schools, we develop successful, responsible, and thoughtful leaders and entrepreneurs who create value for their organisations and their communities. 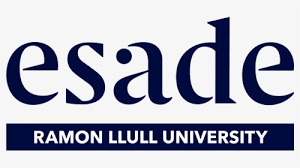 We invite you to learn more about how INSEAD can help you achieve your desired success by connecting with us on campus or at one of the many events we host around the globe. London Business School is one of the world's elite business schools. We shape business practice and transform careers across the globe. Our academic strength drives original and provocative business thinking, empowering our people to challenge conventional wisdom in a truly unique academic environment. As well as being a member of the Forté Foundation, London Business School has its own Women in Business Club and we regularly introduce initiatives to increase the number of women across our programmes, and seek to encourage and recognise exceptional female applicants. Within our extensive portfolio of merit based scholarship awards, there are a significant number specifically for women. We award multiple Forté Fellowships each year to outstanding women admitted to our MBA programme, and we are also delighted to have partnered with both Lloyd's, Deutsche Bank and the 30% Club to offer awards which provide both monetary and networking support to females. Full details on all scholarships available to women can be found on our website. Our Women in Business Club also organises the annual Women in Business Conference. The event is firmly established as one of the leading women's conferences in Europe and contributes to the School's mission of developing global business leaders and exploring critical business, economic, political, and social issues. London Business School's unparalleled location gives female students the opportunity to network extensively with senior women in business, building business connections and furthering professional development. Women at London Business School are part of an ambitious and dynamic community of individuals who come from across the globe and who represent a wide range of professional backgrounds. Women at London Business School are part of an ambitious and dynamic community of individuals who come from across the globe and who represent a wide range of professional backgrounds. "The school is working very hard to foster an empowering environment that supports both men and women in their business dreams, and it is really reflected in the amazing and diverse student body that we can boast of." The MIT Sloan School of Management, based in Cambridge, Massachusetts, is one of the world's leading business schools- conducting cutting-edge research and providing management education to top students from more than 60 countries. MIT Sloan partners with the ForteÁ and MIT Sloan Women in Management Club to increase opportunities for women. MIT Sloan is where smart, independent leaders come together, where ideas are made to matter. The Eli Broad College of Business and the Eli Broad Graduate School of Management includes five departments (Accounting and Information Systems, Finance, Management, Marketing, and Supply Chain Management), and one independent, industry-specific program, The School of Hospitality Business. In addition, prospective MBA students can pursue their degree in one of two types of programs at the Broad College: the Full-Time MBA and the Weekend MBA. Currently, about 5,000 students are enrolled at the undergraduate level, and about 1,000 students are enrolled in specialized master's, doctoral or MBA degree programs as well as various Executive Development Programs, making Broad one of the largest business schools in the country. As one of the leading MBA programs in Michigan and the nation, we are proud of our international reputation for educating MBAs who understand global business and are ready and eager to contribute from day one. At Stern, we believe in the tremendous potential of individuals to solve global problems through the power of business. Founded on this belief, our vision is to develop people and ideas that transform 21st century problems into opportunities to create value for business and society. “An Education in Possible” is our promise to deliver a unique education that combines rigor in the classroom with engagement beyond the classroom to broaden perspectives and change mindsets. We promote disruptive thinking and encourage experimentation to create value. We fulfill our promise through four core values: Academic Excellence, IQ + EQ, Collaborative Community and The Energy of a Global Hub. NYU Stern consistently enrolls one of the highest percentages of women among top business schools. Women at Stern are a unique mix of individuals from across the globe who bring with them expertise from a variety of industries. Female professors, representing more than 20% of our faculty, play a critical role in the school's success. Each year, Stern hosts a number of events to welcome our female applicants. Our marquee recruiting event, Opening Doors for Women, is held each fall and includes breakfast with current students, alumni, faculty and administrators. In the winter, Stern Women in Business (SWIB) hosts an annual conference that attracts professional women and student leaders from all fields to discuss issues affecting women in the workplace. Past speakers include Kathleen A. Corbet, Former President, Standard & Poor's, Carla Hendra, Chairman Global Strategy and Innovation, OgilvyOne North America, and Susan L. Jurevics, CEO of Pottermore for J.K. Rowling, Stern MBA 1996. Kellogg School of Management offers full-time, part-time, and executive programs, while providing a vast array of global experiential learning opportunities. At Kellogg we develop brave leaders who inspire growth in people, organizations and markets. One of the top business schools in the world, our innovative portfolio of programs help our students find the ideal balance among professional, educational and personal goals. Wherever you are in your career – and your life – there's a Kellogg MBA program that will help you grow professionally and personally. The Kellogg Women's Business Association (WBA) exists to connect and champion the women of Kellogg through career programming and personal and professional development opportunities. The Kellogg Center for Executive Women (CEW) helps senior-level women advance to top executive and board positions by developing and delivering research-based, actionable programs that address the unique challenges women face. The Kellogg Executive Women's Network (KEWN) creates networking opportunities for women, nurtures growth and leadership and encourages alumnae to support the school and each other. Kellogg's Women's Leadership Workshop (WLW) is a two-day leadership development workshop designed for high-potential women who are early in their careers in industries and functions where an MBA is not considered part of the traditional career path. The workshop provides attendees with tangible leadership skills and demonstrates the role an MBA can play in furthering one's professional goals. Women's Preview Day offers prospective female students a unique opportunity to visit Kellogg and experience first-hand the school's vibrant community. Your time on campus will include mock classes taught by Kellogg's premier faculty, a Q&A session with the Career Management Center, lunch with current students and more information about the Kellogg admissions process. From business as usual to business unusual, The Ohio State University Fisher College of Business prepares students to go beyond and make an immediate impact in their careers through top-ranked programs, distinguished faculty, and a vast network of partnerships that reaches from the surrounding business community to multinationals, nonprofits and startups across the globe. Our students are uniquely prepared and highly sought, leveraging Fisher's rigorous, experiential learning environment with the resources of Ohio State, a premier research university with 500,000 proud Buckeye alumni. Our university's commitment to diversity and inclusion is reflected in our MBA program, which shares the Forté Foundation's dedication to advancing women in business through education, outreach opportunities and a strong network of professionals around the world. Fisher goes beyond the expectations of the typical MBA experience by connecting our students' passions with the needs of our powerful recruiting network. Throughout the past five years, women MBA graduates from Fisher have accepted jobs in a number of critical industries, including health care, manufacturing, consumer products, technology, retail, non-profit and financial services. These graduates currently serve as associate brand managers, senior consultants, supply chain analysts, senior financial analysts, project management associates and account directors. Moreover, the average salary among women graduates in the class of 2014 was $99,529—$500 more than their male classmates. Our Career Core program is an example of why Fisher is a destination for recruiters of top talent and attracts 80 of the Fortune 100 companies to campus. Through Career Core, MBA students receive individualized career consultation even prior to arriving at Fisher. This important initiative helps our students discover their passions early and cultivates their growth through ongoing and personal coaching during the two-year program. Fisher's centers of excellence provide a professional forum for exchange between faculty, students and the corporate community. Women play a vital role in many of these centers—conducting research on issues of great strategic importance that yields meaningful insights, impacts the global economy and provides critical thought leadership for businesses. Fisher's Center for Operational Excellence hosts twice-yearly Women's Leadership Forums, which spotlight women leaders in the operations management field and their success stories. These forums, which began more than 10 years ago, have also included book club discussions, negotiation workshops and networking opportunities with business leaders from the Columbus community. Fisher's numerous graduate student organizations provide our MBAs opportunities to leverage their MBA experience to go beyond what they learn in the classroom and to develop and apply critical leadership skills to organizations on campus. These organizations include the Black MBA Association, Fisher Association of Marketing Professionals, the Fisher Entrepreneurship Association and Fisher Graduate Women in Business. The Fisher Graduate Women in Business organization—through professional development and networking events—provides a forum for students to discuss and address issues relevant to women in all business disciplines, thereby building awareness of women in leadership positions. Student groups at Fisher also partner regularly with a number of community organizations, including Women Economic Leadership Development, whose mission is to develop and advance women's leadership to strengthen the economic prosperity of the Columbus region. Additionally, Fisher has identified the global marketplace as an emerging frontier in business and is committed to providing women graduate students with international experiential learning opportunities. In 2014, women accounted for 40 percent of MBA students participating in Fisher's inaugural Global Applied Projects (GAP) program—an initiative that engages teams of students in international strategy coursework before pairing them with corporate partners for three weeks of project-based learning abroad. In addition to the many women who hold key leadership positions and serve as mentors, Fisher is dedicated to directly engaging our students with women leaders in business today. Recent visitors to Fisher's campus and classrooms have included KeyCorp's Beth Mooney, Sharen Turney of Victoria's Secret; J.Jill's Paula Bennett; and Cheryl Krueger, founder of Cheryl & Co. and Krueger+Co. Consulting. Fisher, through its successful career management initiatives, engaging networking opportunities and robust leadership development programs, is committed to providing women graduate students with a world-class MBA curriculum and an educational experience that truly goes beyond expectations. Smith School of Business is one of the world's premier business schools, with a faculty team renowned for its business experience and academic credentials. The School has earned international recognition for its innovative approaches to team-based and experiential learning. 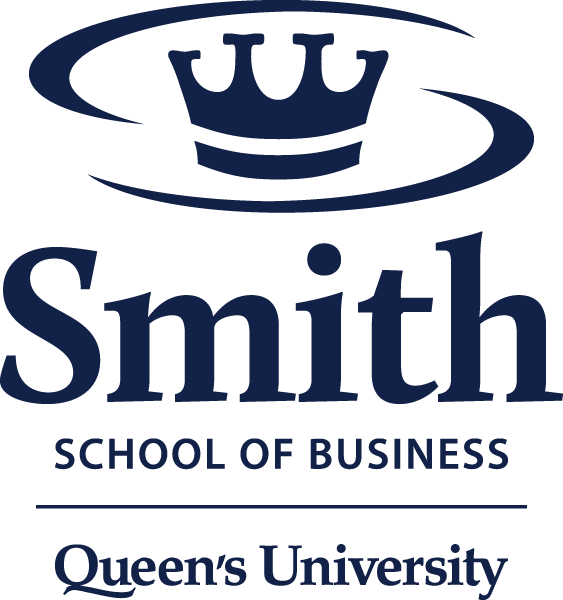 In addition to its highly acclaimed MBA programs, Smith School of Business is also home to Canada's most prestigious undergraduate business program and several outstanding graduate programs. As well, the School is one of the world's largest and most respected providers of executive education. Smith School of Business is one of the world's premier business schools, offering undergraduate and graduate degrees and non-degree executive education programs. Queen's full-time MBA program has consistently been ranked #1 in the world outside the US by BusinessWeek for the exceptional and unique team based model that it offers its students. The School has earned international recognition for its innovative and forward-thinking programs, and has continuously introduced new technologies in business education and new ideas for the practice of management. Smith School of Business launched “Women and the MBA” — a series of networking and information-sharing events for Canadian women considering an MBA. The School developed these events in response to a recent study of 400 Canadian business leaders that revealed more than half (56%) of women in senior positions believe there are multiple barriers to female enrollment in MBA programs. In addition, Smith School of Business is a proud national sponsor of the Women of Influence luncheon series that profiles successful business women. Another student-run School initiative, Queen's Women in Leadership (QWIL), helps provide role models and mentors to our undergraduate Commerce students. Smith School of Business has the distinction of being fully accredited by all three of the world's leading business school accreditation bodies — the Association to Advance Collegiate Schools of Business (AACSB), the Association of MBAs, and EQUIS through the European Foundation for Management Development. Rice University's top-10 ranked Jones Graduate School of Business offers an unparalleled combination of core skills training and individualized support from best-in-class faculty. The program empowers aspiring leaders to fearlessly pursue innovation, draw inspiration from diverse experiences, and nourish bold ideas that challenge business conventions. 4th largest city in the U.S.
#2 total park space in the U.S.
Named in honor of the late Jesse H. Jones, a prominent Houston business and civic leader, the school's degreed programs include the Rice MBA, MBA for Executives, MBA for Professionals as well as coordinated MBAs in engineering and professional science and an MD/MBA with Baylor College of Medicine. The Ph.D. in Business attracts candidates aspiring to become faculty in prestigious research universities internationally. The one-year Master of Accounting and undergraduate business minor round out the degrees offered at the business school. Whether you're headed to Wall Street, the corner office, a startup, an alternative energy company or a nonprofit organization, the SMU Cox School of Business is committed to developing businesswomen who are tomorrow's world leaders. SMU Cox and the Forté Foundation share a common vision of providing resources and opportunities for women in business. SMU Cox equips students with the skills, knowledge and hands-on experience to succeed in business by offering a full range of graduate degree programs, including full-time, part-time and executive MBA programs, five specialized master's programs, and three dual degree programs. Located in the heart of Dallas, which consistently ranks as a top business-friendly city and is ripe with job growth, SMU Cox is well positioned to transition you from graduation to a successful career. The SMU Cox Full-Time MBA program has awarded more than 75 Forté Fellow scholarships to female MBA students in the past five years. All female applicants are automatically considered for these scholarships, with priority given to applicants who apply in the first two rounds. The Women in Business Club is a registered chapter of the National Association of Women MBAs (NAWMBA). All students who are members of the Women in Business Club receive a free membership to NAWMBA and a discount for its annual MBA Women International Leadership Conference & Career Fair, an outstanding opportunity to meet with hundreds of companies in a variety of industries. Additional Women in Business Club partnerships include Ellevate and Network of Executive Women. As the second-oldest business school in the United States, the Haas School of Business at the University of California Berkeley is one of the world's leading producers of new ideas and knowledge in all areas of business — which includes the distinction of having two of its faculty members receive the Nobel Prize in Economics over the past 20 years. The school offers outstanding management education to about 2,200 undergraduate and graduate students each year who come from around the world to study in one of its six degree-granting programs. The school has 40,000 alumni. The Haas School of Business is committed to developing the next generation of women business leaders who seize opportunities, challenge conventional wisdom, and lead with creativity. The Berkeley MBA is shaped by a dynamic, student-driven community that values the essential role women play in business and, through our partnership with the Forté Foundation, we seek to actively increase the educational and networking opportunities available to women. At Haas, women hold leadership positions in many of the clubs and organizations and play an integral role in fostering the innovative and entrepreneurial spirit. In fact, female students co-founded two of UC Berkeley's preeminent startup competitions, the LAUNCH Startup Accelerator, (formerly the UC Berkeley Business Plan Competition) and the Global Social Venture Competition, one of the oldest social venture competitions in the world that combines a profitable bottom line with social and/or environmental impact. The Haas Women in Leadership Group (WIL) serves the entire Haas community through a series of professional, educational, and social events designed to enhance the understanding and appreciation of women's roles in business while equipping WIL members to achieve success. The annual WIL Conference is the longest-running conference at Haas and provides a forum for hundreds of women to connect, empower, and transform their lives and careers. In addition to hosting the conference, WIL organizes a number of social and networking events throughout the year including the Women's Workshop and an annual retreat to Napa Valley. At Haas, you will find an incredibly talented, diverse, collaborative community - one that will form an invaluable, lifelong network. 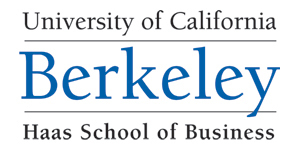 We invite you learn more about the Berkeley MBA by visiting the campus, sitting in on a class, and enjoying lunch with some of our students through our campus visitation program. Our Haas Student Ambassadors are looking forward to hosting you! From pioneering the nation's first field-study program to establishing the Easton Technology Management Center, the UCLA Anderson School of Management continually strives to live our forward-thinking motto, Think in the Next. Our students develop the character combination 21st century organizations need and seek today — people who are open, collaborative and generous and help each other flourish. An award-winning faculty renowned for research and teaching, highly selective admissions, successful alumni and world-class facilities combine to provide an extraordinary learning environment in the heart of Southern California. Whether you're career switching, networking with industry leaders or planning an international trip with new lifelong friends, we have the resources to guide you along the way. UCLA Anderson offers full-time, part-time, PhD, and executive MBA programs in addition to a Master of Financial Engineering and Master of Science in Business Analytics. The full-time MBA Program provides a world-class academic experience, a highly collaborative student culture, real-world business research and consulting experience, and a proven process for significant career advancement. The personal transformation and advancement achieved by our MBA graduates is reflected by the impressive accomplishments of our MBA alumni. At UCLA Anderson, we don't just talk about diversity, it is a vital part of our mission. We believe that diversity — whether of background, gender, culture or ideas — is what creates a vibrant and inclusive community. The Women's Business Connection is a professional club that provides resources to support women in all of the MBA programs. The WBC seeks to develop outstanding business leaders and build strong relationships between its 200 members within the program and the thousands of Anderson Women alumnae through mentoring opportunities, industry panels and social events. In true collaboration, the WBC and Anderson Women plan an annual summit to bring together dynamic female business leaders, world-class UCLA Anderson faculty, current MBA students and alumni. In addition, there are another 40+ professional, identity and interest clubs on campus. After school, our Alumni Career Services offers programs, resources, and relationships for alumni to manage their professional success, whether in job transition or progressing on their own career development plans. Together, we build rewarding events, develop lasting friendships and establish strong professional networks. Visit us in-person or online to learn more and apply now! Cambridge Judge Business School is in the business of transformation of individuals, of organisations and society. We believe in encouraging and supporting people to create new products and businesses, pursuing goals for intellectual gain, and contributing to social enterprise. One of the ways that women make an impact at Cambridge Judge Business School is through the Wo+Men's Leadership Centre (WLC), which aims to foster the next generation of women leaders. Students work closely with faculty and staff at the Centre on mentorship programmes, seminars and speaker events, as well as the annual WLC conference. By bringing students, corporations and policy makers more closely together we disseminate our findings and create forums to translate ideas into practical solutions. This year, a record 39% of the Cambridge MBA class of 208 students is female, and from this application year onwards, female Cambridge MBA applicants will be able to apply for one of two Forté Fellowships, worth £20,000. Women who are successful in achieving the Fellowship, will also benefit from lifetime membership of the Forté Foundation. We are the University of Chicago Booth School of Business. Since 1898, we have produced ideas and leaders that shape the world of business. Our rigorous, discipline-based approach to business education transforms our students into confident, effective, respected business leaders prepared to face the toughest challenges. As part of the world-renowned University of Chicago, we share the university's core values that shape our distinctive intellectual culture. At Chicago Booth, we constantly question and test ideas, and seek proof. This extraordinarily effective approach to business leads to new ideas and innovative solutions. Six of our faculty members have won Nobel Prizes for these ideas - the first business school to achieve this accomplishment. At the University of Chicago Booth School of Business, we value the power of the individual, and are deeply committed to fostering a community of students with unique and diverse experiences. As a founding sponsor of the Forté Foundation, Chicago Booth is pleased to offer access to a top-tier business education for both U.S. and international women. Our diverse student body offers women exposure to students from a variety of backgrounds to increase their personal and professional networks. The relationships that are built here will last a lifetime, from your first contact with an Admissions staff member or current student to connecting with members of CWIBAN, our alumnae network created specifically for women. Through the Office of Diversity Affairs and Chicago Women in Business, Chicago Booth provides extensive support, networking, and fellowship opportunities for women. Chicago Booth students also partner with the Career Services, Student Events and Programs, Admissions and Alumni Affairs Offices to host a variety of activities for our students and alumnae. Chicago Women in Business (CWiB) is one of the largest student groups at Chicago Booth. CWiB hosts many events, including the CWiB Fall Conference, the spring dinner, and dozens of activities throughout the year featuring speakers, career fairs, mentoring opportunities, community service functions and social/networking events. Chicago Booth Women's Week, co-sponsored by the Chicago Women in Business Alumnae Network (CWIBAN) and the Office of Admissions, is a unique event for women. In nearly forty cities each year, alumni, students and staff engage women in conversations around the world regarding the MBA and its impact on the careers of women in business, as well as the value of the unique Chicago Booth experience. Scholarships for women are an integral part of recognizing excellence among Chicago Booth applicants and students. Chicago Booth offers several fellowships for women—including the Robert W. Baird, Forté Foundation, and Herman Family Fellowships—that are part of Chicago Booth's commitment, in cooperation with global corporations and private donors, to provide tuition scholarships specifically to women. Our fellowships go beyond the usual scholarship model, which typically begins and ends with tuition support; we also focus on mentoring, individual development and career options, and corporate access. We're Not Business as Usual. At Gies College of Business, we believe in thinking big and attaining excellence. That's because our College is filled with visionary leaders and innovators—people who push boundaries, who achieve, who lead—people who aren't afraid to examine the status quo and turn it on its head. Here, we enthusiastically embrace new possibilities. We encourage big thinking. We take bold action. All of that ensures a business education that is real and relevant and rigorous—one that encourages each student's creativity and fosters the next big idea. Gies College of Business is where future leaders in business acquire the tools they need to unleash their potential. You have three MBA choices with one solid foundation for success. Career paths are like fingerprints. No two are the same. Our MBA program recognizes those unique paths and offers a flexible curriculum that can be customized to your interests. And there's flexibility in delivery too. At Gies Business, you can choose the MBA with a delivery option that works for you, and know you'll receive the highest-quality education tailored to advance your particular career path. Full-Time MBA – If you want full-time, in-depth study and the opportunities that come with a collaborative, on-campus experience, we have the program for you. Professional MBA – If you are a working professional who prefers the flexibility of an evening program, we have that too. Online MBA (iMBA) – If you are looking for an exceptionally strong, highly engaging MBA degree delivered completely online by top faculty and industry experts, we offer the iMBA. ILLINOIS is home to more than 60 clubs and organizations that are specific to women. Our women find ways to share and expand their personal interests at Illinois, whether it's campus recreation sports, professional organizations, or community groups. The Robert H. Smith School of Business is an internationally recognized leader in management education and research. One of 12 colleges and schools at the University of Maryland, College Park, the Smith School offers undergraduate, full-time, part-time, online, and executive MBA, executive MS, PhD, and executive education programs, as well as outreach services to the corporate community. With an MBA degree you will get ahead but what about that special something that you need to stand out from the crowd? That's where The Smith Experience comes into play. We took the rigorous toolkit that will always be fundamental to the MBA curricula and added experiential learning projects that will let you customize your MBA experience and build deep competencies and give you a story to tell. The Smith Experience has five different focus areas consulting, global, social value creation, investing, and entrepreneurship. The projects will give you hands-on experience with businesses and organizations nearby in the diverse Washington, D.C., metro area and also with partners around the world that you can point to when an interviewer asks you to describe your leadership, teamwork, analysis, and communication skills. For Smith students, the D.C. metro area is a dynamic mecca of economic and social resources, offering abundant opportunities for connections on all levels business, personal and humanitarian. The Stephen M. Ross School of Business at the University of Michigan is a vibrant and distinctive learning community grounded in the principle that business can be an extraordinary vehicle for positive change in today's dynamic global economy. At the Ross School of Business, our mission is to develop leaders who make a positive difference in the world. Through thought and action, members of the Ross community drive change and innovation that improves business and society. Maximizing opportunities for women in business is a business issue. At Ross, we provide dedicated resources to ensure women meet their goals while developing the acumen to achieve them. From day one, women at Ross are immersed in activities both in and outside the classroom that encourage them to facilitate change, engage in the community, and lead across interpersonal boundaries and cultures. The school's action-based and career-centric curriculum hones such leadership skills as reality-based decision-making, project management, change management, and critical thinking. Women comprise 34 percent of the MBA student population and peer support takes priority at Ross. The Ross Women's Council, the first such organization at a leading business school, brings together industry leaders, alumni, and corporate partners via seminars and networking opportunities. The council is aligned with the Ross chapter of Michigan Business Women (MBW), which presents the annual Women in Leadership Conference each fall. The capstone of Ross' selective and challenging program is the seven-week Multidisciplinary Action Project (MAP) in which student teams go to work in local, national, and international firms. Theory becomes practice as Ross consultants deliver (and often implement) critical solutions to actual business problems in healthcare, biotech, and non-profit, to name a few. As a result of this and other forms of results-driven preparation, Ross is perennially ranked among the top MBA programs in the nation for hiring women graduates. Women at Ross benefit from unparalleled opportunities that open the door to any career or industry. Some 23 dual degrees are offered with the MBA, including Education, Public Health, Public Policy, and Natural Resources and the Environment. The collegial and collaborative culture at Ross promotes an environment in which women play a vital role on campus and in society. We believe in maximizing opportunities for women at Ross because we believe in maximizing opportunities for women in business. 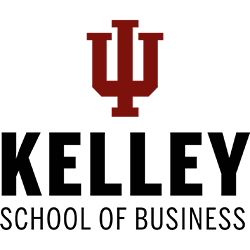 Established in 1919 and based in the Twin Cities of Minneapolis and St. Paul, the Carlson School of Management at the University of Minnesota is a recognized leader in business education and research. Its focus on experiential learning, international education, and maintaining strong ties to the business community exemplify the school's commitment to excellence. The Carlson School of Management at the University of Minnesota is committed to being a constant seedbed for tomorrow's female leadership. We offer a comprehensive portfolio of initiatives to help our female students lead and succeed in business. And we offer professional growth opportunities to women business leaders in the region's business community. Females make up 23% of our tenured and tenure-track faculty, exceeding the national average of 20%. Our tenure-track faculty—the future of our research and teaching capabilities—are 30% female. We lead the Midwest in the increase in the percentage of women enrolling in our Full-Time MBA program. And the Carlson Undergraduate program freshman class is about 50% female. Minneapolis/St. Paul is home to one of the nation's largest concentrations of Fortune 500 headquarters, including Target, UnitedHealth Group, Best Buy, Supervalu, 3M, and U.S. Bancorp. The Carlson School has close ties with these businesses, providing our students with many opportunities to learn and advance their careers. We offer extensive financial support for women, including two full-tuition Forté fellowships. UNC Kenan-Flagler has long understood what defines true business success & puts that understanding into practice. In & out of the classroom, through academic rigor & essential real-life learning experiences, we're shaping exceptional leaders who make positive impacts on the corporations they lead & the communities they serve. Our unmatched portfolio of premier MBA programs provides outstanding ROI and unique learning and career opportunities to a diverse range of students. Our top-ranked Full-Time MBA, Executive MBA, and online MBA@UNC offerings leverage a powerful and integrated curriculum delivered across a variety of formats to shape principled, agile leaders who drive extraordinary results for both the bottom line & the greater good. Carolina Women in Business (CWIB) is a student run organization that supports women with opportunities for career and personal development to not only success while at UNC but in their post-MBA journey as well. Women's Workshop draws a select group of diverse prospective women MBAs to Chapel Hill and UNC Kenan-Flagler's campus for an immersive experience. Participants will take part in panels, workshops, social activities, and engage with current students, alumni, faculty, the Admissions Committee, and other key staff members. The 13th annual Women's Workshop will be November 2nd 3rd 2018. More than one third of MBA fellowship recipients at UNC are women. We supplement Forté Fellowships for outstanding women with full-tuition fellowships. Women make up 30% of the MBA Class of 2019 and 28% of the MBA Class of 2020. We create a unique atmosphere of collaboration, mutual support and genuine interest in each other's success. Our diverse mix of cultures, races and experiences provides a variety of perspectives and talents that, when united through teamwork, strengthens our ability to achieve our goals. UNC Kenan-Flagler is a member of the Forté Foundation, The Consortium for Graduate Study in Management and Reaching Out MBA (ROMBA). Global Immersion Electives (GIEs): A GIE may place a secondary focus on a specific industry or functional area. MBA students receive three hours of elective credit for participation in a GIE. Exchange Programs: Choose from more than 50 top-ranked business schools in Asia, Europe, South America, Africa and the Middle East. STAR Global: Students from multiple business, cultural, and university environments are organized on a STAR Global team to work with corporate executives to solve a business challenge. 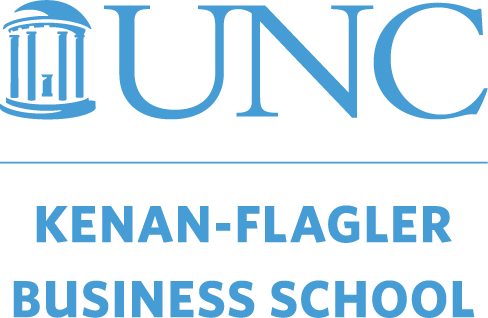 We have so much more to tell you about UNC Kenan-Flagler Business School. Visit us in beautiful Chapel Hill at one of our admissions events or e-mail to speak with a member from our team. The Mendoza College of Business is home to dedicated teachers, scholars and more than 2400 students who are engaged in undergraduate, graduate and executive studies. Degrees offered at the Mendoza College include: Bachelor of Business Administration, Executive Master of Business Administration, Master of Business Administration, Master of Science in Accountancy, and Master of Nonprofit Administration (MNA). Mendoza also offers a broad range of custom programs for businesses and organizations, as well as certificate programs for executives and nonprofit managers and leaders. At the Mendoza College of Business, we prepare you to search for perspective, to ask penetrating questions, to plumb the depths of uncertainty with confidence. The stakes are high. Can business help transform the world? We think it can. The forces of technology, transportation and the Internet are revolutionizing business practice. Take what you learn and help struggling people here and around the world live a better life. Women who have studied at Oxford include some of recent history’s great leaders and inspired minds. Distinguished examples include: Dorothy Hodgkin, winner of the Nobel Prize for Chemistry in 1964, Margaret Thatcher, former UK Prime Minister (and Europe’s first female Prime Minister), Martha Lane Fox, co-founder of lastminute.com, Benazir Bhutto, former Prime Minister of Pakistan, Cornelia Sorabji, India’s first female lawyer and author Helen Fielding. The Business School is strongly committed to continuing this tradition. Already our female alumni have gone on to work in a wide range of roles and industries all around the world. For example, Sally Fan from China is now a Vice President at Deutsche Bank in New York. Kuntha Chelvanathan from Australia is a Senior Consultant with Roland Berger in London. And Sarita James from the US worked for McKinsey, and was named a White House Fellow in 2008. Some of our female alumni have also won prestigious awards such as, Ruthe Farmer (MBA 2007) who was named a ‘White House Champion of Change for Tech Inclusion’ in July 2013. Keely Stevenson (MBA 2004) was honoured by The World Economic Forum with its 2013 Young Global Leader (YGL) award. And Raheela Khan (OAMLP 2012) was named a 2013 Yale World Fellow in May 2013. Oxford is a passionate proponent of women’s entrepreneurship as a force for change and global economic growth. Reflecting this philosophy, the Saïd Business School invests in a wide range of initiatives to help create a thriving community of women leaders. The Wharton School of the University of Pennsylvania is the world’s first collegiate school of business. Each year the Wharton MBA Program prepares hundreds of women worldwide to pursue their professional careers in the for-profit, non-profit and government sectors. In the Wharton MBA Program, you will develop your management toolkit through rigorous and analytical coursework and learn by leading to develop yourself as a confident decision maker. Women come to Wharton for its customizable and flexible curriculum, diverse perspectives and global view, and academic excellence across every major discipline. With 225 faculty, 19 majors, 200 electives, and 13+ interdisciplinary programs, Wharton gives you the opportunity to grow through a multidimensional and interconnected experience, inside and outside the classroom. Upon graduation, Wharton women find ample opportunity to build social and professional ties to last a lifetime, as they join a network of over 96,000 MBA alumni. Business degree programs at Simon are designed to help you achieve a new level of clarity: about how analytical frameworks drive success in business; about what it takes to collaborate and manage in the contemporary, global workplace; and about your professional growth and goals. It's the understanding and confidence you need to make the right decisions and lead no matter what the business forecast. Simon's Career Management Center is dedicated to connecting you to professional opportunities that turn your potential into reality. From résumé development to mock interviews and individualized career counseling, we prepare you to be the leading candidate in a competitive marketplace. Even before orientation, new students begin their Simon experience with this specially designed program of web-based training, which explores important topics, including internship and job search strategies, professional networking, and developing your interview pitch. It's your first step to a new level of career preparedness with expert coaching and professional development classes to help you prepare for your job search. A Simon degree offers our female students a top-notch business education, as well as the best business connections the world has to offer. Our affiliation with Forté as well as the Simon Women in Business (SWiB) organization on campus promotes events focused on increasing the number of women in business, professional development/mentoring, and networking opportunities. Simon's Women's Forum event provides networking between prospective female candidates and current female students, alumnae, faculty, and administrators, with sessions centered on current issues in business. We're proud to offer degree programs with an unabashedly analytical bias. We'll show you how a deep understanding of economics, combined with an intensive quantitative focus, gives you a cohesive, evidence-based approach to decision making. Get an MBA that's more than a credential at Simon. Occupying a prominent position at the forefront of innovation in business education, the USC Marshall School of Business offers programs with a curriculum that recognizes the interdependence between academic instruction and hands-on experience. Our students learn in an extraordinary environment that combines rigorous intellectual inquiry and unprecedented global opportunity. Located at the gateway to the Pacific Rim in the heart of Los Angeles, Marshall is a global hub for entrepreneurial thinking and collaborative research, addressing the most pressing economic issues from the lens of understanding the role of business in shaping modern societies. So Why Marshall? Whether your passion for business means reaching the C-suite or finding solutions to the world's most intractable problems, a graduate degree from USC Marshall helps you get to greatness. With a choice of PhD, 5 MBA, and 11 Specialized Masters programs, you can chose a path that fits your academic and career needs while balancing your life. We offer a wide array of electives, as well as the option of independent study, which allows you to gain expertise in your chosen career path. In addition, students can earn for-credit industry recognized Graduate Certificates as part of their studies. Vested in your success, our Graduate Career Services team of seasoned professionals equip students with the skills, knowledge, and resources that inspire confidence to achieve their personal career goals. We build long-term relationships with employers to connect them with the talent needed to compete and grow in today's marketplace. Our approach is highly personalized to both students and employers. By taking advantage of our full range of vital services including one-on-one career advising, career management workshops and interview coaching you will pursue your first career trek, career fair, or post-Graduate job with confidence. Post-graduation, you can still utilize Graduate Career Services as the need arises at no cost. We're here to support you for as long as you need us. At the USC Marshall School of Business, we are deeply committed to attracting more women into our classrooms and onto the corporate boardrooms of businesses across the globe. While our full-time and part-time MBA programs have enrolled over 30% women in their classes, our goal is to bring in more and offer an experience tailored to the needs of women during school and beyond graduation. Through the student run Graduate Women in Business (GWIB) organization, women are provided the opportunity to network and get involved in woman-specific programming. We encourage our women to attend the annual USC Women's Conference to network with alumnae, students and friends for a day of programming designed to inspire and empower them to create positive change in all aspects of their lives. Speaking of alumni, the USC Trojan Family is legendary. With over 375,000 alumni worldwide, including over 85,000 from Marshall, you become part of the family the moment you arrive on campus. Our students embody the core attributes of our alumni - to be faithful, scholarly, skillful, courageous, and ambitious. After graduation, Marshall alumni are connected to the wide range of support and resources to keep you connected and engaged. Marshall alumni have the opportunity to give back as part of our mentorship program run by Graduate Career Services that connects them with current students to help them shape and reach their career and life goals. We welcome you to visit our campus, meet us on the road, and find us online to learn more about our MBA and other graduate programs. Connect with our Student Ambassadors to hear their first-hand experience at Marshall. One of the largest and most prestigious business schools in the U.S., the McCombs School of Business at the University of Texas at Austin is dedicated to providing tomorrow's business leaders with the knowledge and skills they need to make a lasting impact on society. We're one of the few schools in the country to receive top rankings for nearly all business degrees annually by U.S. News & World Report—at both the undergraduate and graduate levels. The University of Texas at Austin has a tradition of advocating for women and Texas McCombs is a large part of that legacy. From our award-winning faculty and diverse student population, to a community of accomplished alumnae and partners, we remain dedicated to helping women advance in business across all industries around the globe. Women at Texas McCombs continually initiate some of the most important and visible organizations, conferences, and events on campus. They take full advantage of leadership opportunities, seeking out and engaging role models and mentors within the local and national business communities, utilizing a big advantage—UT Austin is everywhere. From Austin to Los Angeles, New York to London and beyond, Texas McCombs women make up a community that gives back to the school, returning as speakers, providing career advice, or recruiting new generations of our graduates. Each year, Texas McCombs women host the Women in Business Leadership Conference, bringing together students, alumni, faculty, and influential businesswomen to address issues and challenges that affect women in today's business environment. The conference is hosted by a chapter of the National Graduate Women in Business organization (GWiB). GWiB also sponsors a professional development series, meets with prospective students, offers a mentoring program, hosts social outings, and organizes an annual boat cruise across Lake Austin. In addition to the conference, Texas McCombs invites all women interested in the MBA program to attend our Discover McCombs: Women's Weekend, held annually each fall, to visit our beautiful campus, tour Rowling Hall, and engage with our community through panels, events, and sessions on program resources. If you would like more information about the Texas McCombs MBA program we encourage you to attend an MBA event—class visits, campus tours, or info sessions on-campus, or find an MBA event in a city near you. Hook 'Em! The Rotman School of Management at the University of Toronto has been ranked as Canada's top ranked business school for the last 10 years by the Financial Times. Rotman is located in the heart of downtown Toronto, the world's most multicultural city (ahead of New York City and London), just steps away from Bay Street, the third largest financial centre in North America. By joining the largest and most internally diverse MBA program in Canada, you'll gain access to more top employers and global recruiters than any other business school in Canada, and will become a lifetime member of what is soon to be the largest MBA alumni network in the country. We offer generous support for women leaders, , through our Initiative for Women in Business and Women In Management Association (WIMA) In 2016, we awarded Forte Foundation Fellowships of $40,000 each to 18 outstanding female candidates. Rotman has built a global reputation on its ambitious vision for business education. Our unique approach to problem-solving and decision-making will transform your career and your leadership potential. You can customize your MBA experience through over 100 elective courses across 15 Majors (including Design Thinking), and earn an MBA-level salary while you learn through our Flexible Internship Program. Rotman is an exceptional way to launch your career and life in Canada, as all our international graduates are eligible for a 3-year Canadian work permit. Learn more about Rotman by attending our upcoming Admissions Events and connecting with our Admissions team. 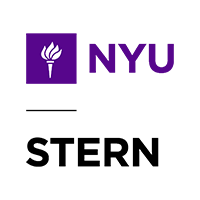 Located in Seattle, the Foster School of Business at the University of Washington delivers an unparalleled experience that produces distinguished leaders. World-class scholars, centers and programs create opportunities of a lifetime and will stretch your classroom knowledge, broaden your horizons and help you to reach your full potential. The art and science of teamwork and leadership is tightly woven throughout the Foster experience with its deliberately small classes and enduring cohorts. Top-ranked and highly respected around the globe, Foster is a gateway to Seattle's innovative business community. The Women Board Directors Development Program. A seminar designed for executive women looking to become more influential board members. MBA Women in Business and Undergraduate Women in Business. Two groups that nurture the personal and professional development of Foster women. Foster's MBA Mentor Program, with an impressive ensemble of women leaders (31% women). A far-reaching network of accomplished Foster alumnae. We welcome the opportunity to connect with you! Visit our events calendar to attend an information session or visit a class. Or, reach us at mba@uw.edu or 206.543.4661. The Wisconsin School of Business (WSB) at the University of WisconsinMadison has a long-standing tradition of academic excellence and a reputation for integrity. We’ll help you reach your career goals through our nationally recognized business programs, including three MBA offerings—a full-time MBA with ten specializations, and evening and executive MBA degrees. UW-Madison is a global leader in research and home to high-achieving students who go on to be major world influencers. WSB, as a prominent part of one of the world’s most highly ranked universities, is the perfect place for your business education. The School builds and maintains relationships with more than 600 top employers throughout the nation and the world—companies that recognize the caliber of our students. The Wisconsin MBA programs are part of an empowering environment that equips women to lead in their careers and communities. Our top-ranked graduate business education includes first-year leadership training in the foundational Leadership Catalyst program, which features a series of workshops and seminars delivered in two intensive, week-long sessions. It complements the curriculum, providing skills that will increase your leadership effectiveness throughout your career. Wisconsin offers more than 18 student organizations that help you connect on campus and provide leadership opportunities, including some that specifically serve women. Graduate Women in Business (GWIB) promotes networking with School alumni, board members, and other business professionals. The Graduate Business Association hosts presentations by noted business leaders and sponsors student-led community service projects. The Joint Venture Club offers a social network of support for spouses, partners, significant others, and/or children; and the Entrepreneurship Association encourages and nurtures entrepreneurial ideas and spirit. We take specific steps to ensure that our educational and co-curricular programming reflect the presence of women in business. We bring inspiring female leaders to campus to speak as part of the M. Keith Weikel Executive Leadership Speaker Series. At the Wisconsin School of Business you can earn a top-ranked MBA and start strong with minimal debt. We recruit talented women who contribute to a vibrant, inclusive MBA community. All women admitted to the program are considered for the Forté Fellowship to support their education. In addition, all are considered for the Women in Business Award of Excellence, given to women who have demonstrated leadership and a commitment to helping other women advance in business and the community. And Wisconsin is noted for its exceptional overall value. The Wisconsin MBA Program leads the country in ROI for graduates earning $100,000+ (U.S. News & World Report, 2019). Inclusion is fostered across the entire learning community at the Wisconsin School of Business. As a community, we learn together to challenge our assumptions and expand our world view. Scheduled guest speakers and inhouse panelists address meaningful diversity topics at events for students, faculty, and staff. Faculty and staff also participate in interactive cultural competency workshops. Vanderbilt University exists for a certain type of student—the type that we think will change the world for the better. We're the B-school built for the persistent. The genuine. The professional who knows he or she hasn't heard it all before—and uses that humility to grow. To learn. To change. Where we come from, that's called wisdom. It starts with our faculty. You will find their work in top academic journals. But it doesn't stop there. Their ideas and expertise spill over into the classroom and influence ever-evolving business beliefs and practices. This curiosity to stretch, learn and grow is practiced by all members of the Owen community. Yes, it's extra effort. But the dividends are worth it. Knowledge is only half the equation. Effort is just as essential. And it's something that's often overlooked at top schools. We fill our school with people who are willing to roll up their sleeves and do what it takes to get the job done. Going that extra mile is standard practice here, where the lights stay on late and the coffee brews before dawn. Located in the heart of the Midwest, the Olin Business School at Washington University in St. Louis is one of the country's leading research-oriented business schools. Our degree programs are known for their demanding scholastic standards and emphasis on experiential learning. “Research-driven thinking, applied” is the organizing principle across the school's degree and nondegree programs, which emphasize developing the rigorously analytical, critical-thinking skills; applied learning; global competence; and communication and collaboration skills needed to solve today's complex, unstructured business challenges. Our small size allows for a deeper level of interaction, participation, and program customization, which, in turn, fosters key relationships that provide endless opportunities for continuous achievement. Admission to the Olin MBA Program is competitive. Each applicant is carefully considered by the Olin Admissions Committee, using a holistic approach with both objective and subjective criteria. We consider your academic ability, leadership potential and experience – and how well you communicate those to us. To ensure diversity in each entering class, we admit students with varied backgrounds, talents and interests. The Ivey Business School is the first and most prestigious business school in Canada and our one-year, full-time MBA program with its unique Ivey Case-Method Learning is nothing short of transformational. Ranked the #1 MBA Program in Canada by Businessweek four years running (2014, 2015, 2016, 2017) for both student and recruiter satisfaction, we are proud of both the student experience we offer and how well our graduates do post-MBA. Beginning in March each year, our one-year format recognizes that part of the big cost of doing your MBA is time away from the workforce. With only one year out of the workforce instead of two, we've minimized your opportunity cost while providing a world-class package of intense curriculum that will help you to achieve your career goals and get you back into the workforce quickly. Career coaching is build right into our curriculum. Our Career Management team, ranked #1 in Canada and the largest team in the country, is involved in your MBA journey from the very beginning, starting with the admissions process — including interviews. We do this to ensure that we deliver on our promise of not only a high-quality education, but also of helping students to achieve their career goals post-MBA. If you've been admitted to the program, we believe you can be successful in what you hope to achieve. Our placement rates — consistently over 90 per cent — illustrate what we believe: that you do not need a two-year program and an internship to achieve your career goals. An Ivey MBA opens doors to an unlimited range of challenging leadership opportunities. Ivey Career Management coaching gives you the insight and the career savvy you need to fully capitalize on them. Ivey attracts an exceptionally strong field of candidates with a staggeringly diverse range of educational, professional, and cultural backgrounds. We are confident that you'll be as impressed with your classmates as we are. In addition, the small class size, non-commuter campus located in London, Ontario, and close-knit community provide an exceptional MBA student experience. Ivey has an extensive alumni network and culture of support. This culture is fostered from day one and continues well beyond graduation. Ivey Alumni maintain strong connections to the school as recruiters, guest speakers, sponsors, and mentors, and are 24,000 strong in 106 countries around the world. We know that committing to an MBA program is a huge financial undertaking. We have over $1 million available to female applicants and offer some of the largest merit scholarship funding in Canada. Over 70 per cent of our students receive a scholarship or award. We want to make sure that financing is not a barrier to any applicant who receives an offer. In addition to the Forté Foundation fellowship, we are also the National Education Partner of Lean In Canada, a community of professional women empowering each other to build purposeful and fulfilling careers. Through this partnership we offer a $20,000 Lean in Canada scholarship. Within the Ivey MBA Program, the Women in Management Club is one of the largest at Ivey with 55 members this year. Their main objective is to raise the profile of women at Ivey and create a safe forum for diversity and inclusion as well as spotlighting mentors and role models. Ranked #1 in Canada by Forbes, CNN Expansion & Corporate Knights, Schulich is Canada's preeminent business school. The Schulich School of Business is located in Toronto, Canada's largest and most diverse city and the country's business hub. At Schulich, we are proud to say that women represent 40% of our MBA class. With a strong Women In Leadership club, an annual Women in Business event as well as additional scholarships to female candidates, Schulich is committed to advancing women in the business world. The Schulich MBA will equip you with the specialized knowledge and leadership skills you need to gain a competitive advantage. Flexible study options allow you to switch between full and part-time enrolment, take classes uptown at York University's Keele campus or at Schulich's satellite campus in downtown Toronto. The Schulich International MBA (IMBA) is a specialized MBA program for students who want to launch a career in international business and stand out from the crowd. The IMBA is a full-time program for the first year with the option to go part-time in year two. The IMBA offers all of the benefits of Schulich's MBA program, with several additional components. In the second half of the Schulich MBA or IMBA programs, students can choose to focus on up to 2 of our 18 areas of specialization in management functions, industry sectors and special business issues. Along with their specializations, students also complete a Strategy Field Study. This eight-month consulting project involves a team of students working with a real client, conducting a comprehensive strategic assessment of all functional areas within an organization, as well as the external environment that a company faces. Most Schulich students will agree that the Strategy Field Study is by far the most challenging and rewarding aspect of the entire MBA experience. At Schulich, our reach is truly global. As a Schulich MBA, you will join a group of over 30,000 alumni across the world represented by 86 alumni chapters in 60 countries. Women in Leadership (WIL) is a student organization serving undergraduate and graduate students at the Schulich School of Business. WIL serves the Schulich community by providing a series of professional, educational, and networking events to enhance the understanding and appreciation of women's role in business, while assisting members in reaching success in their chosen field. We do this by creating a network of business students, alumni, and businesswomen to inspire and support one another. WIL also serves the community by partnering with local high schools to provide a forum for inspiring and motivating young girls to pursue academic excellence, leadership opportunities, and their dreams. Forté partners with over 50 corporations and organizations to bring you events and career opporutnities.